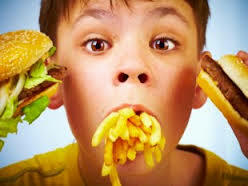 In a not so surprising study, researchers from Dartmouth-Hitchcock Norris center specified that fast food consumption did not lead to recognition of healthy food by children. 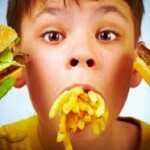 Indeed the advertising of “healthy food” by fast food giants was woefully inadequate. The research study was published in the JAMA Pediatrics and it investigated fast food television ads aimed at children from July 2010 through June 2011. Researchers highlighted “freeze frames” of Kids Meals shown in TV ads that appeared on Cartoon Network, Nickelodeon, and other children’s cable networks. Of the four healthy food depictions studied, only McDonald’s presentation of apple slices was recognized as an apple product by a large majority of the target audience, regardless of age. Researchers found that the other three presentations represented poor communication. The overall findings determined that one-half to one-third of children did not identify milk when shown McDonald’s and Burger King children’s advertising images depicting that product. Sliced apples in Burger King’s ads were identified as apples by only 10 percent of young viewers; instead most reported they were french fries. “Children’s Recall of Fast Food Television Advertising—Testing the Adequacy of Food Marketing Regulation,” (Published: March 4, 2015 DOI: 10.1371/journal.pone.0119300) was supported by funding from the Robert Wood Johnson Foundation Healthy Eating Research Program, grant #69552,(PI Sargent) and the Prouty research program of the Norris Cotton Cancer Center. Gilbert-Diamond is funded by HD076097 from the National Institutes of Health. The funders had no role in study design, data collection and analysis, decision to publish, or preparation of the manuscript. ← Another vegetarian study shows reduced risk of colorectal cancer.